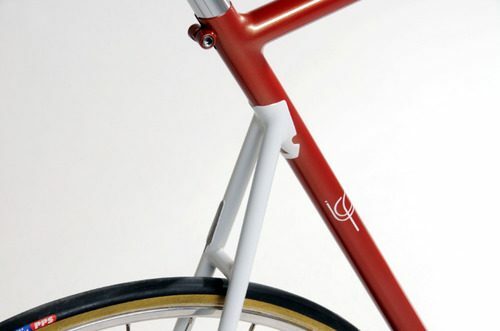 With NAHBS just around the corner, you’d expect this to be Icarus‘ show bike. Nope. This is their everyday work. 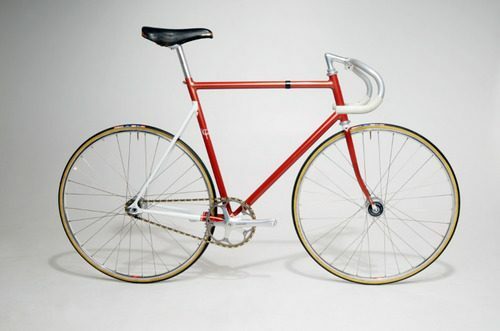 A local mechanic hit Ian up at Icarus to design and build him a classic track bike with some Icarus flavor. Check out the detailed shots below. 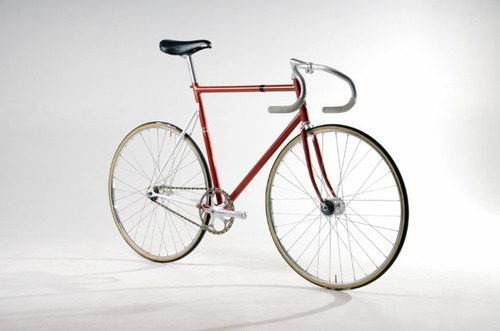 Made with a True Temper tubeset and platinum stays. 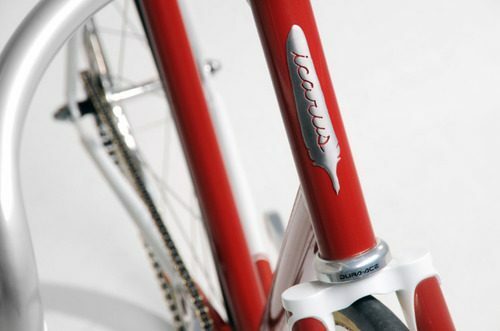 Here’s the Icarus feather headtube badge and a glimpse at the rounded fork blades. So nice! Definitely a classy ride.